So incredibly unique! That was the first thought that went through my head when I saw these a.d.o.r.a.b.l.e. 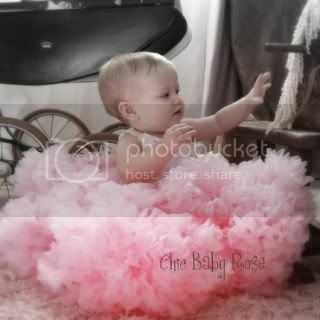 Petti Rompers by Chic Baby Rose. 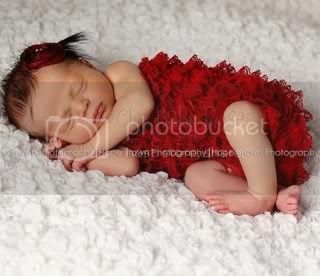 They are cute enough to give me baby fever just so I can buy one and oogle at it for hours. 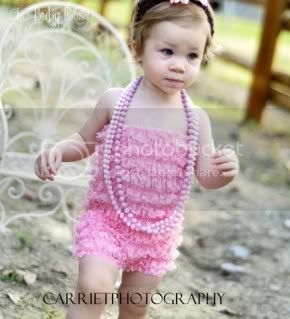 The coolest part about these Petti Rompers is that they are versatile! You can even tuck them down to use as bloomers. They would be absolutely perfect for newborn photos, as the precious baby above demonstrates. They are adorable on a toddler girl as well!! I mean, seriously... Have you ever seen something so cute? 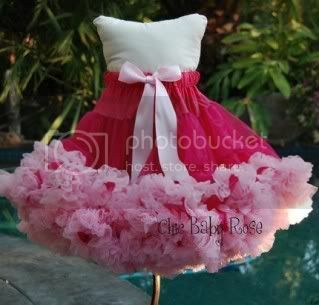 And not only does she have those adorable outfits, she also makes pettiskirts and hair accessories as well. And yes, I do realize that everything that I've posted about is either red or pink, but what can I say? They are precious!